Enjoy Hotel's Location in St. Augustine, FL Historic DistrictAs you hear the sound of horse-drawn carriages making their way along the brick-lined streets of downtown, you'll know you've arrived in a very unique place. Welcome to St. Augustine, America's oldest city. 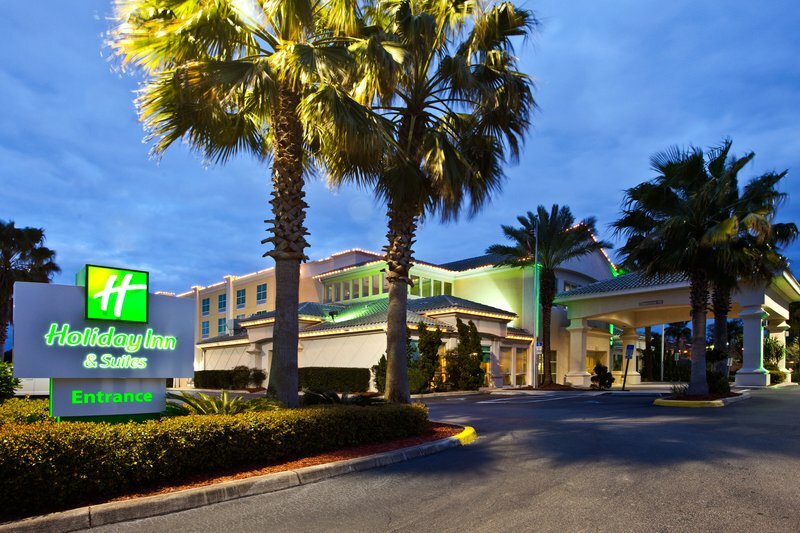 With a beautiful exterior and elegant decor, the Holiday Inn Hotel & Suites St. Augustine - Historic District offers the perfect accommodations for vacations and business trips.From ghost tours to white sand beaches, endless attractions await you in St. Augustine. Situated in the Historic District, our hotel's location is minutes from everything. Stroll the shores of Florida's coast at nearby Anastasia State Park, and make sure you allow time to visit the St. Augustine Alligator Farm and the original Ripley's Believe It or Not! Museum, both just minutes from our property.With top companies like Northrop Grumman close by, it's no wonder savvy business travelers choose our St. Augustine hotel. With free Wi-Fi access and a business center, we make it easy to stay connected to the office. Planning a meeting in the St. Augustine Historic District? Our hotel's conference space includes 1,660-sq-ft for up to 150 guests.You're invited to stay and relax in our full-service St. Augustine hotel. Savor delectable American cuisine at our Cafe St. Augustine, and enjoy perks that include an on-site fitness center, outdoor pool and a whirlpool. Our staff looks forward to meeting you! Before you embark on your historic venture, enjoy a culinary experience in Sebastian's Cafe and Bar. Open 7 days a week for Breakfast and Dinner, featuring Chef inspired Specials and Local Flavor. Enjoy the numerous golf courses located in and around St. Augustine including: The Royal St. Augustine Golf & Country Club, St. John's County Golf & Country Club, Palencia Club, and St. Augustine Shores Golf Club & Driving Range.